Plots and Pickaxes: The Book of Ivy Announcment and Giveaway! 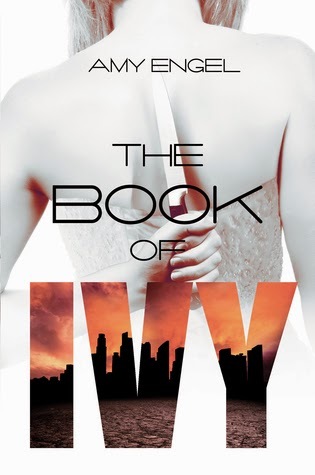 The Book of Ivy Announcment and Giveaway! This post is to make you all aware of a really interesting book that will be coming out in November of this year (yep just a few weeks away guys). It's called The Book of Ivy by Amy Engel and I can't tell you how excited I am for this book to come out. I've had my eye on it a while and am planning on putting up a review as soon as I get my hands on a copy, but until then I wanted to make sure as many people knew about it as possible before it comes out. So without further ado here is all the information you need to know about The Book of Ivy, and if you haven't already scroll back up and watch the awesome book trailer. My name is Ivy Westfall, and my mission is simple: to kill the president’s son—my soon-to-be husband—and return the Westfall family to power. Amy Engel was born in Kansas and after a childhood spent bouncing between countries (Iran, Taiwan) and states (Kansas, California, Missouri, Washington, D.C.), she settled in Kansas City, Missouri where she lives with her husband and two kids. Before devoting herself full time to motherhood and writing, she was a criminal defense attorney, which is not quite as exciting as it looks on TV. When she has a free moment, she can usually be found reading, running, or shoe shopping. Giveaway ends November 04, 2014. See the giveaway details             at Goodreads.